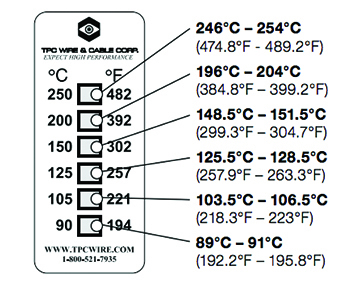 The TPC Temperature Tag will allow you to choose the right cable for your environment. Temperature affects ampacity, with this tag, you can know, with certainty, what temperature range your application reaches. The tag changes color from orange to black. In the environment, black indicates highest temperature.